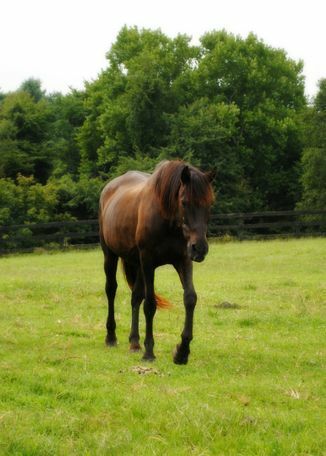 ER Black Magic (“Magic”) is a black 1993 (approximately) mare standing around 16 hands. She came to ERL in May 2018. The quiet matriarch, she adores human attention and scratchies on her back. She is kind and well-mannered. She would be perfectly suited for a family looking for an elderly equine companion to adore and love on through her golden years. Dayz and Magic are a bonded pair and we would prefer to adopt them out together.